A Coin Collection requires time and investment but it is a very rewarding activity. Regardless of whether you have a lot of money to spend or small budget, I will try to give you the tips on how to start collecting and making money for the future! There is a variety of rare South African coins available. There are two different main types. Collector’s Interest. They would try to get a collection that is priceless and in many cases they will never think about selling it. Collecting only highly graded certified coins or Profit interest: The type of client that wants to buy coins as an investment. This type of client will look for coins that will grow in value in the future. Coin Investment requires the advice of a broker to make the right choice and purchase. This is a long time investment. We do not recommend buying online any coin before having the possibility to inspect the coin in your hand. Most of the coins you will find at The Coin Company are graded coins as well as rare South African coins. This means that coins have been inspected and inserted in a plastic capsule with a bar code and a hologram to certify the coin is authentic. This process is done in United States. If you have a collection of coins that are currently in circulation, remember that unfortunately we don’t buy or sell circulated coins. If your coins are out of circulation, old or rare, never try to clean them. The value will decrease if you clean them. Make a decision of the type of coin you would like to buy. We will help you decide. At The Coin Company we specialise in Nelson Mandela Coins. Now, when it comes to collecting coins, the possibilities are unlimited. The mint of origin, the grades, the year of mint, however, the most important thing to remember is that no matter whether you are collecting only highly graded certified coins, or you want to specialize in collecting only coins for a particular mintage, or whatever coins you wish to collect – coin collecting is a fun and exciting hobby that should always be held in a safe and out of the way location, such as in a locked safe. And always remember before buying any coin consult an expert about the specific coins you have interest in. Coin collecting can start as a hobby and become a very smart way of creating an investment. When investing in rare coins, it can provide a significant medium to long-term benefit. The value of a coin is related to the difficulty to obtain a coin and the demand is generated for that specific coin. Generally, the rarer the coin, the greater the value. The world’s rarest coin is the South African “Single 9” that was minted in 1899. Nelson Mandela coins are welcome addition to any coin enthusiast’s collection. All Nelson Mandela coins were produced by the South African Mint. 3. Certificate of Purchase with name of purchaser. These are the different options when purchasing PROOF Nelson Mandela Coins. Be aware that Proof coins are different from Mint State Coins. 2000 Millennium Nelson Mandela Coin. 2008 Nelson Mandela 90th Birthday Coin. The 1994 Inauguration R5 Coin in both Mint State (MS) and Proof (PF) issue to coincide with the inauguration of President Nelson Mandela in 1994 is by far the rarest and most difficult to come by either MS or Proof. The 2000 Nelson Mandela Millennium Coins Mint State and Proof were minted in respect to Nelson Mandela on his retirement as State President and they are also very rare. In 2008 a new R5 coin bearing his head was issued to celebrate his 90th Birthday in July 2008. This had never been done in the history of the SA MINT that two R5 coins were issued with the ex-presidents bust on them. Our Goal is to help you build coin collections and coin portfolios. Remember No Capital Gains Tax or other taxes are payable on resale of Mandela coins, as well as No Estate duties are payable. The Coin Company specialises in Mandela Coins and other rare collectable coins. We have a collective 30 years of experience in rare coins and as such will provide you, with the knowledge to make the best decision for the ultimate unique portfolio. It is never too late to start and your collection can only grow in value as time passes by. Our mission is to offer assistance and advice to all our clients, either entering the coin market for the first time or to established coin collectors. Please take a look at the picture below showing MINT STATE (MS) coins so you can see the difference with the Proof coins. Not all the MS Nelson Mandela Coins should be purchased as an investment, some of these coins are not rare because of the high number of coins available. Our brokers can give you the best advise. The 2008 Nelson Mandela MS69 is the finest known of all. There are only 11 of these coins and was sold in 2011 for over 2.5 million. The MS68 is also a very rare coin. NGC only records 56 of these coins. If you have specific interest in making a large investment with these coins contact us by phone. We are excited to announce that World Coin News confirms this year that rare R5 Nelson Mandela coins are the fastest appreciating rare coins in the world! The 2017 Volkswagen Golf GTI has been getting a lot of attention recently, and the attention is definitely well-deserved. The compact hatchback offers has a sporty styling and fun-to-drive attitude that provides drivers with the best possible driving experience. It also has a variety of exterior color options and two high-quality interior seating options so drivers can customize their 2017 Golf GTI to their liking. The 2017 Volkswagen Golf GTI comes in four trim levels: S, 4-Door Sport, SE and Autobahn. 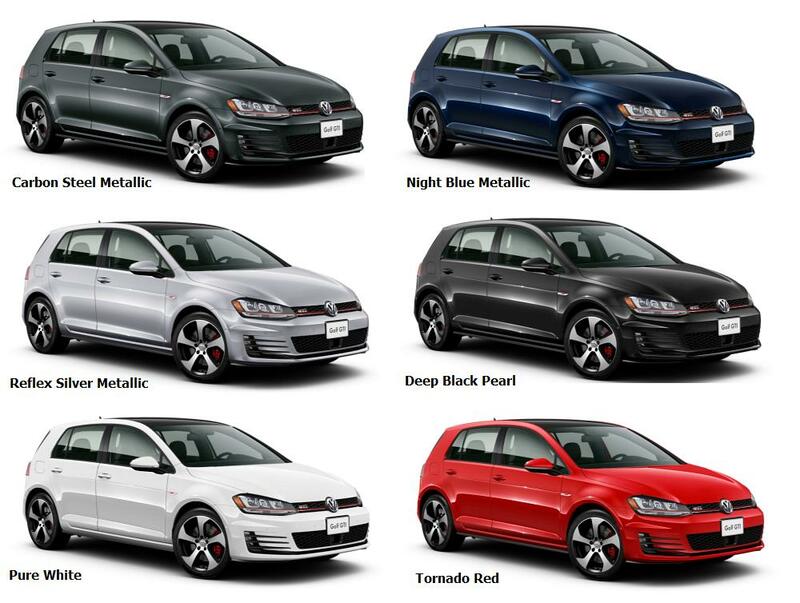 Each trim level has six exterior color options for drivers to choose from. Take a look below and let us know in the comments which exterior color option you like the best! Which one would be your favorite GTI colour? Do you like the 2017 GTI interior look. Give us some comment below and share this beauty of social networks. Here is a history of how Mandela coins have been sold for R275 000. You can find areas to buy and sell vintage coins including Mandela graded un-circulated coins. Several of the Mandela 90th Birthday proof 70’s have sold for R275 000. The rare 90th birthday Mandela proof and mint state coins are expected to show blistering financial performance in 2014 tax free. The first year after the death of the great Nelson Mandela. These are the rare R5 Mandela coins that are in the greatest demand from the South African and international public. The proof versions of these coins are the most beautiful South African coins ever manufactured, they are breath-taking. The proof versions are also by number of only 5 000 minted with the exception of the finest known rare R5 Mandela coins the most rare Mandela coins of the entire series. We are projecting that proof 70 birthday Mandela coins will sell for R450 000 at the end of the year around R1 million by the end of 2017. The proof 69 birthday Mandela coins are expected to be selling at R65 000 by the end of 2016 and R110 000 at the end of 2017. More details at SA Coin.